With the Oscars’ host slot safely filled, Academy voters and movie execs are realizing that something else is missing at this year’s Oscars: any obvious Best Picture front-runners who will define the race. 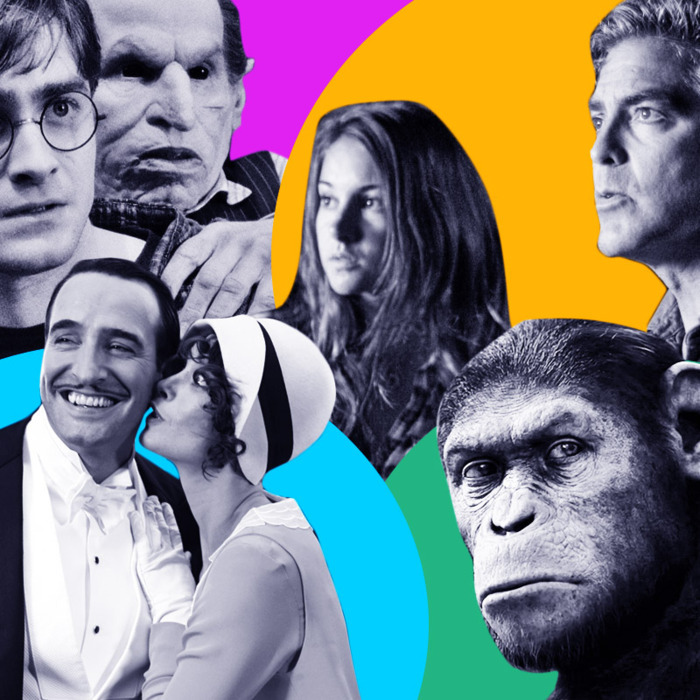 Yes, there are movies that are getting great reviews — Hugo, The Artist, The Descendants — but there isn’t that towering leader that, with its wave of media attention, becomes the focal point of the awards season; there’s no Brokeback Mountain vs. Crash, The Social Network vs. The King’s Speech. And now, studios are feeling like this year’s GOP presidential nominees: Even if they don’t feel like they have a clear chance of winning, none of their competitors do either, so why not keep your hat in the ring? “Usually, if you don’t want to spend the money on a campaign, you can say, ‘Look at how things are lining up! We don’t have a prayer!’” said Russell Schwartz, a movie marketing consultant who previously served as the marketing chief at New Line Cinema during its much-heralded Lord of the Rings era. “But right now, you can’t do that: You can’t really tell any of your clients that there isn’t a decent chance [of getting a nomination].” And as a result, you’re seeing studios make more of a Best Picture fight for mainstream flicks for which they ordinarily would have been happy just counting their grosses, like the Harry Potter finale and Rise of the Planet of the Apes. Even with this mix of budgets big and small, the race lacks clarity. The early awards have established no narratives, with the New York Film Critics Circle siding with The Artist for best picture and director this week, while the National Board of Review went with Hugo. “When the early results are this disparate, there’s no clear front-runner” says Terry Curtin, currently president of theatrical Marketing at Relativity Media and an Academy member herself. “And the last two days haven’t made us any smarter.” Further muddying the handicapping are two as-yet-unknown quantities: DreamWorks’ Steven Spielberg–directed War Horse has only just begun screening and word of mouth is positive with some notable detractors, so it’s too early to tell if it’s headed for the winner’s circle or the glue factory. And while Paramount’s adaptation of Jonathan Safran Foer’s novel Extremely Loud and Incredibly Close has what one marketing executive jokingly refers to as “the recipe for Oscar pie” — a Stephen Daldry film (The Reader, The Hours) starring Tom Hanks (Forrest Gump, Philadelphia) and Sandra Bullock (The Blind Side) written by Eric Roth (The Curious Case of Benjamin Button, Munich) produced by Scott Rudin (The Social Network, True Grit, No Country for Old Men) — it’s still a question mark, as the movie was not even finished in time to screen for the NYFCC before they could do their awards voting. Many see an upside to a ceremony more populated by popcorn fare. Ratings certainly go up when blockbuster hits are nominated, which is important considering audiences have famously been shrinking since the lofty Titanic peak of 55 million viewers in 1998. When the highest-grossing film of all-time, Avatar, was nominated for Best Picture in 2009, the telecast’s downward slide was briefly halted, and it pulled in some 41.3 million viewers, making it the most-watched broadcast since 2005. By comparison, in 2008 the Best Picture race was comprised of eventual winner No Country for Old Men, Atonement, Michael Clayton, There Will Be Blood, and Juno, the only box-office hit: The awards got their lowest ratings since 1974.
movie review 4/19/2019 at 5:23 p.m.